Thank you Cobra! The victory of light is comming! If today, when we are expecting by the Red Moon, alredy it’s possible to fell the extremely strong energies, I imagine what will happen on the 20-21 abril !!!!!!!!. Thanks for your Divine and Sacred Mission with us. This is truly awesome. i cant wait i must get some practice in. thank you so much for every thing cobra. a few weeks ago i was asking our brothers and sister flying around in there big ship. to show them selves to me and two weeks ago my wish came through and i did dent even know it. there ships was cloaked like a cloud. i stared at it for a good while.and realized it looked a,lot different to the other clouds, and it was very big.then last week some one put up a picture showing the same thing i had seen truly amazing stuff.i feel blessed for seeing such a wonderful sight. I send everyone lot,s of love from Ireland god bless and long continue the victory for the light. That Exact Same thing happened to me! I made the same request, went to a quiet place and gazed into the sky, asking that they might appear just beside a pretty little cloud I was admiring. I even took a picture of the sky (and the cloud! ), hoping that something might show up in the photograph. Today I learned that our friends are often manifesting as clouds, and that this cloud in my picture was indeed whom I had asked to see! I laughed out loud in delight at the discovery! And now, here I am, reading your post, and I am laughing with joy once again! I woke up at 3am, no alarm. Then I remembered the eclipse should be going on and went out. Could see nothing as the sky was covered with clouds. Tried to sleep but I couldn't. About an hour later, in a meditation process, not physically, I saw my e-mail inbox and there was a message with the subject in big bold letters: “RE: CONTACT”. In the meditation state, I wondered who could have sent me that, because I didn't remember having sent any message with the subject “CONTACT”. So I wished to know it's content and suddenly, very clearly in my mind, it came the answer: “WE ARE COMING TO YOU FOR THE CONTACT”. I came out from the meditation state very excited and remembered that I had asked for the contact with my gallactic family. Just wanted to share it with somebody. Nice to hear the SI uses Internet more actively now beside materializing various orbs in the air on request. I expect the number and frequency of such contacts to increase, up to the point of appearance of "pay pals" on "that" side: that would be a ground breaking experience for any human. Just be alert, and be sure to verify the contact before proceeding, it should know about you more than an average intelligence agency knows. Thank you for your concern, Aleksey. Going to read your site. Clocks on my IPhone5S are running into the future like crazy, 5 seconds in the last day, ~7 minutes in the last 3 months. I've disabled the auto-sync feature. This does not look like a bug of iOS. On the verification thing: make sure you never verify anyone by asking a question you've once entered in the "password recovery strategy" on some web site: like your city of birth, your mother's maiden surname, your nickname in the class, etc. I think I'll know how to deal with it. Aleksey, your website is very impressive! Thanks, Freia. I do not believe in hybrids.. too much concentrated intellectual power is required to produce a working one. Also note that despite what that Hybrids site tries to tell, we DO NOT have high-resolution photos of UFOs even having all the photo technology we have now, 50 megapixel cameras, 100x magnification. That's a very important thing to note. UFOs do not want us to define them. So, either UFOs are a hoax or they do not want to catch our disease. I think both; the whole ET/UFO topic is filled with hoax, disinfo and speculations. "So, either UFOs are a hoax or they do not want to catch our disease." Or they want to awake our curiosity. Or they don't operate in 3D reality. Or they don't operate in frequencies that are visible to us. Haha good one Ananda, I like that. One of our Antarian Rangers is in a tight spot right now, that bs is making me REALLY pissed and very upset. Cobra, what's the hold up? Like seriously. Ananda, with your words you are proving this theme is instable, indecisive and speculative. Well, I've seen an entity, just as described years after by a militar whistleblower. We have had so many different opinions of what the actual Event will Look and Feel like that It will be wonderful to actually first hand Experience it..........Although I feel a beginning aspect of it already happening! Cobra please answer, let's say the Event happens right now, what will we do about the projects and meditations to come? Will they still be necessary? Will their purpose change and just be re-scheduled? Neekian, I think the calmest thing to do is proceed according to the latest information. If the event occurs before scheduled events. I assume there will be more intel released before those mediations occur to update us. Also, I think it is safe to assume portals will continue to be opened, and mass mediatation events will also occur, probably with an increased majority of awakened information passing to the public, an increased participation will result. I think the most important thing to do in this time is continue on the path of light, every foot forward, every individual action helps the source, the federation, the rm, yourself, your fellow people. Personally, I love the phrase, keep calm and carry on. I would add, with certain knowing in your heart that victory of the light is near. WOW! Just....wow! The whole universe is lining up to help us out. We can do this!! Apologize for if I'm speaking out of place or am stepping on any ones toes, but I watched the youtube video on the steps in the meditation that we are asked to focus and visualize on. Which are a number of problems that are going on in the world witch all carry a negative vibration that we all wish to see turn positive right. I see those thoughts in away as being to many things to focus on at once and that could lead to distraction or even break in the Meditations which I see would leave say whole or breaks in the energy thoughts. So What we need is single thought or Idea of focus of light and of love that would act like a spear with one single shoot that will finally break the dark hold on us and, that thought I feel from my heart this should be to want to live in a ( world of Unselfish LOVE) it simple and its broad enough to fit all those thing mentioned on the video into one whole nice being bundle of love that would all fit into one nice and neat basket that covers it all, and at the same time it allows for Focus of love and won't let our thoughts stray as they would might if we where to think of all those things at once. I don't really like writing on these things but that feeling I get in my heart made me come out to say this Because (Unselfish Love) is the Universal the Law Of One! Guided from the Children of the Law of One. I hope these word will help all of those who wish for a better world to live in. I hear what you are saying. 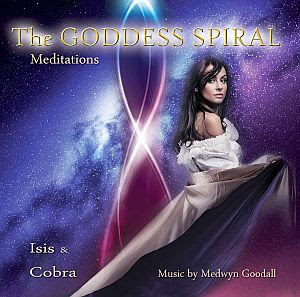 Even though Cobra calls this a "mediation", I don't think it is a traditional meditation. It is more like a ritual. You turn in a circle with your arms above your head to draw in the energies coming from the universe at that time. 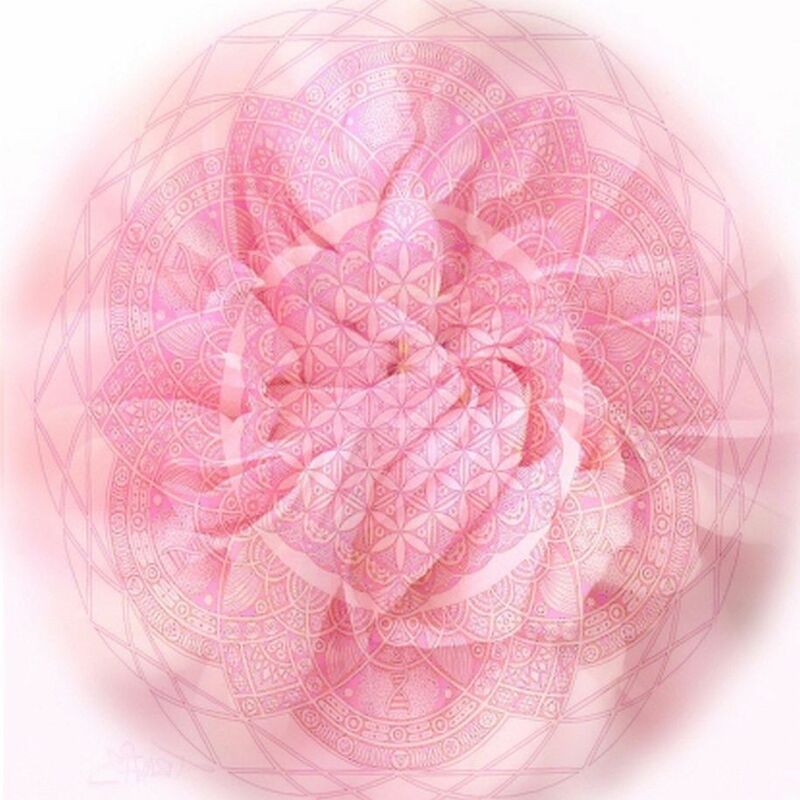 This energy is a spiral, dynamic, feminine energy so it makes sense to turn in a circle. The energies are drawn into your body and you again keep turning in a circle, while vibrating the sounds, to amplify the energies in your body. Then when the energies are sufficiently gathered and amplified in your body, you send the energies out of your heart to the world to be anchored there. In essence, your body becomes like a magnifying glass to focus the cosmic energy and direct it toward the Earth. If you are concerned about skipping some essential steps, you could practice a few times before the big day. Let's Go! ♥ x Pi !! If you look at the desktop version of this site, you will see what you are missing. Desktop version may be activated on your mobile. If you can't do this, open this site on your Mac/ PC using the LATEST BROWSER with all facilities enabled. There are a lot of older blog posts that are simply mind-blowing and which are accessed more easily from the desktop version of this site. 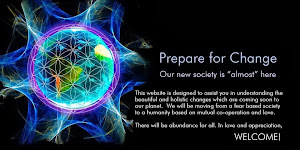 TEN MILLION people are accessing this site and if all these people take part in the IS:IS portal activation as well as all the meditations on this site, then we can finally take the destiny of this planet in our hands and liberate it sooner. BUT NUMBERS MATTER ! I am with you Cobra! I will follow your instructions precisely as you laid them out. 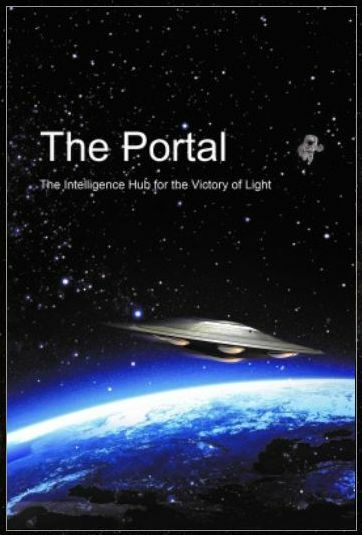 As I read your post, I felt a rush of excitement welling up within me as I realized that the activation of the IS:IS Portal may very well be one of the most IMPORTANT and DEFINING moments for our planet! Hopefully, everyone who reads your blog will join us in this CRUCIAL global activation. I personally have been feeling the energies shifting dramatically in the last few days and it is an extremely POSITIVE shift that is happening, beginning with the Lunar Eclipse tomorrow. I really appreciate you expanding our knowledge in the realm of astronomy and astrology. 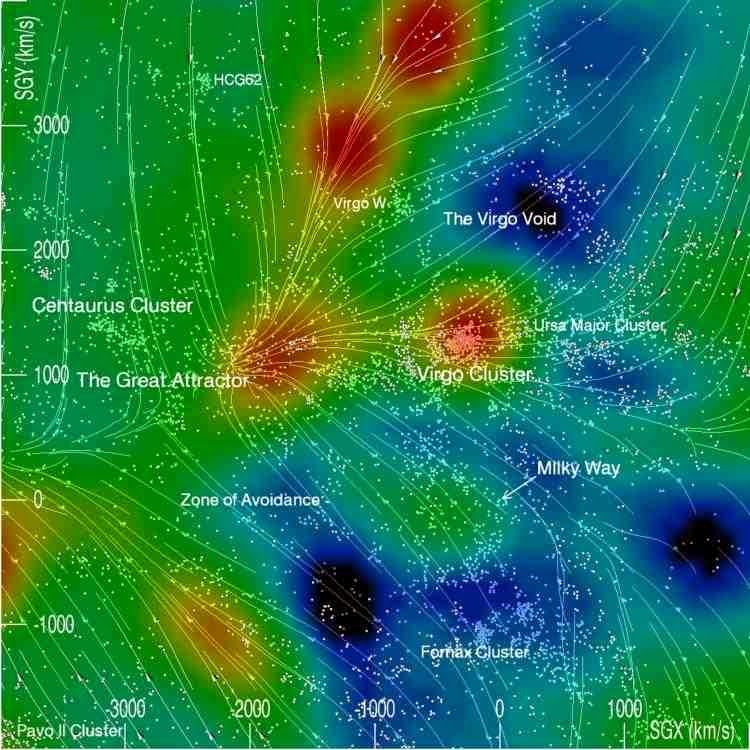 I never heard of the Great Attractor before, but the link you posted provides a fascinating peek into this mysterious galactic force. I also was amazed when you said that the IS:IS Portal activation will "cause further unification of all future timelines, bringing them into greater alignment with the One." This is huge and will go a long way in reversing or canceling out all the former negative potentials created by the dark forces. 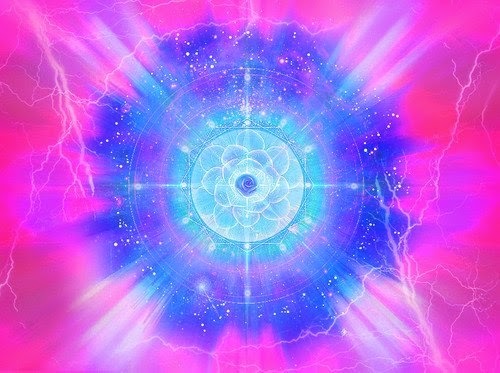 I know this can also be a very volatile time on the planet, particularly due to the Grand Cross alignment, which is why you are not doing the public activations at this time, so I expect there will be a mix of sobering tension and anxiety but also a phenomenal sense of joy and excitement as we all join hearts and minds to finally and forever LIBERATE our precious planet! LET'S DO IT! My birthday happens to be this weekend, so what an awesome present it would be to experience compression breakthrough on that day!!! Thank you from the bottom of my heart Cobra and RM for all of your selfless devotion to our ultimate liberation. MAY WE ALL BE VICTORIOUS AND MAKE GALACTIC HISTORY THIS WEEKEND! Victory of the Light is Imminent! Why are my comments under review by Google. are they afraid of light workers. Because I put up a post 2 hours ago and it still hasn't come up? Cobra has to approve your post before it is posted. YEEEEE HAAAAAA!!!! WHEEEEE, Here we go !! them participate in this meditation. I have read previous comments and understand that David Wilcock hasn't responded to Cobra after several attempts. That is really sad and unfortunate because all lightworkers should be on the same side. However, David has protected himself all these years, from the Archons, by keeping himself insulated. It is hard to change that habit after so many years. Maybe if enough people ask him he will do it?? But you are absolutely right about Benjamin Fulford and his connections!! All of those martial arts experts have been trained for fighting and assassination, but they have also been trained in spiritual/Tao/Zen subjects. They are all scholar/warriors. Benjamin Fulford should send the word out that now is the time to initiate their spiritual training, not their military training. They should follow the EXACT instructions of Cobra to be completed during the Grand Cross on April 20th/21st. For the hope of the planet, I hope Mr. Benjamin Fulford will be able to do it. @NikiWonoto, I didn't know I was expressing fears, doubts, and uncertainties. Sorry if I gave that impression. And, I don't think it is "divine plane" or predestine that the light will win, the light will win because the master moves have already been done in the past- like a chess game. As Cobra has said many times, the cabal cannot stop the Event, they can only delay it. Well, I don't know about you, but I am SICK of delays! I want to see those bastards thrown into jail for their crimes! The more we can amplify the power of this IS:IS portal, the more that is likely to happen sooner rather than later. Benjamin Fulford and Cobra are in contact on other issues - Fulford has explicitly mentioned "Cobra Resistance" in two of his most recent weekly posts. While I think it would be wonderful if the 200 million man army would participate in this meditation, I also view these meditations as an opportunity as 'civilians' to join in the effort in our own way. After all, how can an military effort be considered to be representative of the "will of the people" if no civilians expressed their collective intention of support? Without the support of the masses, any such military act would energetically simply be a "Coup" and easily viewed by cynical individuals as a power grab by a different faction. I also want to add that I am deeply disappointed that David Wilcock will not correspond with Cobra or even publicly acknowledge him. I suspect that Drake & Wilcock both have a common insider contact/source who is suspicious of the Resistance Movement despite being a "White Hat". I've come to that conclusion after now hearing 2 years of Cobra-bashing by Drake combined with 2 years of utter silence by Wilcock. Hopefully when this is all over all parties working for the good of the planet will be able to recognize and acknowledge each others' part in the process. To me, that would be the ultimate sign that we are truly entering into a new era for humanity - instead of public figures fighting over the credit they could instead thank each other even if they didn't always trust each other. @New Age Biscuit, I don't agree with you about Fulford but I do agree about Wicock. I send an e-mail today to Benjamin Fulford to please encourage the White Dragon Society to participate in the IS:IS portal activation. They are citizens of this planet too, so they have a vested interest just like the rest of us. Honestly, I hope you are successful with this effort. I just think we all need to participate as much as we possibly can. I do not want to place the burden for planetary liberation on others, but wish to carry my share as well. I do not think I eloquently stated that aspect above, though. Well, we all know about how Drake is so I won't talk about it. Now David, I think that since he makes all this alt media stuff his job, I think that he feels he must start true to what he talks about on his books and conferences. What cobra says has little to do with what david says sadly. I've never seen david talk about things in a more galactic sense, he kinda focus in more simple things like the cabal controlled people in the planet, the financial system, etc. @New Age Biscuit and @ Neekian - I have been following David Wilcock for years and although I have a great deal of respect for the personal risk he took in exposing the cabal by producing epic documents like Financial Tyranny, his galactic view has become very skewed, in my opinion. He believes implicitly in the Law of One material, to the exclusion of all other “higher” sources and has said so many times. Wilcock lived in Carla Ruckert’s home while she was still channeling “Ra.” Don Elkins, the questioner during the channelings, later committed suicide. It is believed he did this because he realized Carla was possessed by a 5th density negative being and she had become extremely ill. He reportedly gave up his life to save her and it worked because the entity left after he died. I believe it is possible that this same entity heavily influenced Wilcock’s thinking, without him realizing it. Cobra and others have repeatedly stated that channeled material is largely unreliable due to the heavy Archonic interference. I wholeheartedly agree! I feel that Wilcock puts way too much credence on the Law of One teachings. I would venture so far as to say I think he has “brainwashed” himself reading this material exclusively for many years now. Again, I want to emphasize that I mean no disrespect to David as he has done a great amount of work for the Light, but in this matter I feel he is way off base, and here is why I say that. They constantly refer to themselves as a “social memory complex” which is basically The Borg in Star Trek where individual thought is no longer possible and all beings are hooked up to a supercomputer that controls their thinking and behavior. This, I believe, is nothing more than another Mind Control Trap of the highest order! Law of One refers to “The Harvest” of human souls numerous times. This idea NEVER resonated with me and caused alarm bells to go off - I actually cringed at the term “harvesting of souls.” Wilcock was convinced this “harvest” would happen on December 21, 2012 and he would wake up in the 4th dimension, having ascended out of his physical body. When this did not happen and he was still here with the rest of us on December 22, he was in complete shock for weeks after and said so on his blog. In my view, anytime someone is talking about “harvesting” your soul with only a vague promise of something “far better” in a “higher dimension” while we are still under heavy etheric manipulation by those who control The Matrix, I would advise “Don’t do it! Run Forrest Gump, Run for your Life!” I for one do not concede to anyone “harvesting” me so that they can then assimilate me into a Borg-like mind controlled social complex. No thank you! I just thought I would share this as it may help put into perspective why Wilcock appears to be “out in left field” on some issues. I sincerely hope he does eventually see the danger of putting too much stock in channeled material and learns to rely more on his own intuition and guidance. Then perhaps he will also see the wisdom of joining forces with his fellow brethren in the common cause of planetary liberation. I wish him well on his journey. Huh, I didn't know about that story regarding the law of one material and elkins suicide. The entity making the person sick kinda rings true to me as this is something that happened to me when I was younger. It was a little after I first started to try to connect to my spiritual side. I suddenly fell ill, started to have heart problems even though I was only 15. Doctors dismissed most of it thinking it was just part of an anxiety problem because I was too young to have such issues, but i knew better. I would see shadows in the windows, and I was having terrible nightmares. One day I felt a very negative presence in my room and suddenly I couldn't breathe for a good while until it stopped and the presence went away. It all stopped once I said that I had enough, and decided to look for help. Out of nowhere a person that I found on the internet told me about meditations so i could shield myself against those bad things. My health problems disappeared, and It was a big awakening for me. The archons thought they could shut me down but they failed! Becca - Thank you so much for that response. That's essentially what I've wanted to write for a while regarding him - he is too attached to the LoO material much as an evangelical fundamentalist is too attached to the Bible as all truth. I did want to add a couple other tidbits, as I also have followed Wilcock for many years...in fact finding out about his old website (Ascension2000) is really what started me down this rabbit hole in earnest. Foremost, there are almost no references to the concept of "Archons" in his material. If indeed the collective material describing the Archonic presence on Earth is legitimate (at this point, I'd say the circumstantial evidence is overwhelming), then anything that comes through as channeled material would end up being skewed or at least heavily monitored and edited by them. Honestly, I do believe the LoO material is legitimate, but whatever was allowed to come through conveniently left out the notion that Archons were already here. I think the "5th Density Negatives" that are consistently referred to in that channeled material are the Archons, and that they stepped up their attacks in the mid-80's on them in an effort to suppress what they felt was too dangerous to their agenda. If you look through selections of the LoO material, you can find indirect references and hints at the Archonic agenda that may have been the 'limit' of what RA could communicate at that time. Unfortunately, David's ego (note - I believe this is a manifestation of Cayce's desire for more credit when he was "awake") prevents him from acknowledging that there are far more similarities between his mission/purpose and that of Cobra than there are differences. I should stress that these are my own views on the matter, but given my own desire to view the LoO as "truth" I've spent many, many hours reconciling the differences between what Cobra has presented here vs. what was produced by L/L Research & Wilcock separately over the years. I've come to believe that careful interpretation eliminates most of the differences, and those that remain are due simply to perspectives, individual bias, and time itself. After all, that material was channeled in the 1980's...A LOT has changed in that time! Whatever you believe of RA, what was 100% true then is not 100% true now just due to everything that's happened. David is a huge asset, but he's going to need a huge smacking by a really smelly and huge Monty-Pythonesque fish before he can finish the job he's meant to do here. Thanks @NewAge Biscuit. Re: the LOO material -- I realize there is quite a bit of truth in it but to make it a “gospel” that one follows word for word without question is not wise in my opinion and that’s what it has become for many spiritual seekers and even Lightworkers. 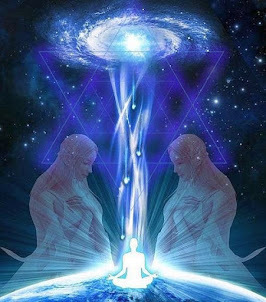 Once our planet is truly liberated and we can connect more directly with Source and the Ascended Masters, etc. the information should become more reliable, but as you stated that has not been the case, so great caution needs to be exercised in the meantime. Also, we are at a point where we are getting ready to make a huge leap in our collective consciousness and truth needs to be told on all fronts. I tried to share my insights as respectfully as possible, without mincing words. One of the things I love about Cobra is that he does not sugarcoat things - he presents them as they truly are, even the ugly, dangerous and evil elements still present on our planet. He also shows us the positive side of things and what is being done to correct the situation, infusing a very dark situation with a tsunami of hope. I feel he is very BALANCED in the way he presents information which in my book makes him a very reliable source. As has been stated, so many (including Wilcock) are singularly focused on exposing the Cabal. Well if we are so intent on exposing THEM, how much more so do we need to know about the true enemy and Puppet Masters of the Cabal which include Lucifer and his minions, the negative Reptilian beings and the Archons (which I view as a lesser antagonist albeit still a potent one). The Archons are not the true instigators but they do serve the negative agenda on the etheric planes. I believe in order for humanity to TRULY HEAL from everything that has happened to us, we need to know and FACE The Nemesis - all the players - and especially the more advanced galactic beings who chose to shun the Light and perpetrate darkness, lies, and the manipulation and entrapment of human souls. It is not helpful for us to simply turn a blind eye and refuse to look at them because we deem it too painful. That is called DENIAL and as a planet we have been in this state for far too long. It is time for us to shift from denial into ACCEPTANCE of what has really happened on this planet! 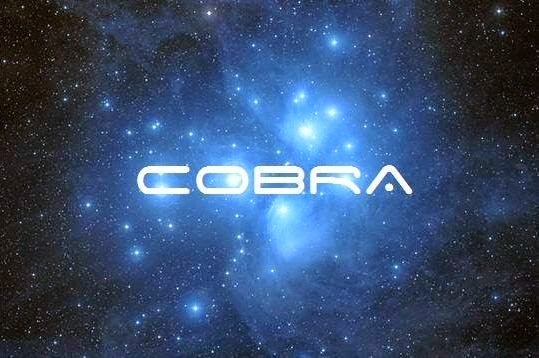 Cobra and the RM, along with a few others, will be leading the front on complete exposure of the Truth, especially regarding the Creators of the Matrix and Quarantine Earth, which is sorely needed at this time. Of course, this has to been done in stages in a manner that will be “digestible” to those who are still in more of a sleep state at this time. One of the biggest ploys the dark forces have used in recent times is to try to trick us into believing that (a) they don’t even exist and are some “figment” of our imagination as Wilcock boldly stated in a recent article entitled “Decloaking Lucifer” - in my view that article was an insult to the human race and our own intelligence as most of us know there are dark beings at work here - it clearly smacked of Archonic influence and (b) that we wanted, asked for and somehow deserve the intense endless suffering we have been subjected to on this prison planet for some type of supposed soul growth. No being DESERVES to be harmed, tortured or imprisoned. As Cobra has so eloquently explained, neither Source Creator nor any of the other positive beings of light agree with what has been done to the human race - it violates the Galactic Codex on all fronts - which is why so many beings of light are assisting us to help remedy this deplorable situation and put an end to all the suffering once and for all! @Neekian. Thank you for sharing your story. I applaud you for standing your ground against those Archons even as a young adolescent. I, too, have had more than my share of negative Archonic experiences and could write a book about them. 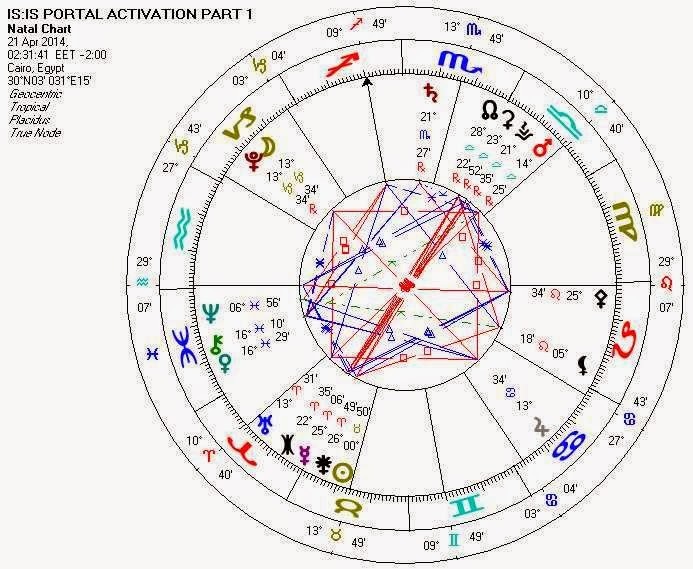 A few years ago, a gifted astrologer who read my chart, basically described my father as a powerful "Archon" who sought to crush and suffocate his children -- one of the worst paternal energies she had ever seen in 30 years of reading natal charts. So imagine having a Lord Archon as your dad! LOL (of course it was not in the least bit funny then - he was highly abusive in every way imaginable and almost destroyed me energetically). Then in the last 5 years or so, I have had multiple and relentless psychic and physical attacks from The Archons as I was going through my deepest spiritual awakening and pursuit of higher knowledge, particularly in the realm of the metaphysical sciences. I even had a true near death experience when I believe one of those Archons entered my body and tortured me for hours. So yes, they can be quite relentless in their energetic attacks once you become determined to fully walk the spiritual path and expose the truth to the masses. It's been a very rough ride for some of us, but VICTORY IS NEAR! I truly believe that I was meant to be incarnated somewhere else, It is actually one of my earliest memories, I remember being around 5yo and thinking things like "I wonder when I'll see my real family again"
My parents aren't bad, they were always ok to me but both of them have a terrible negative energy on them, specially my mother. Now that I'm more experienced spiritually I am more sensitive to it and her energy is nearly nauseating, I still try to visit her as much as I can but It is very painful to do so. do you have any words perhaps for those many skeptics & 'pragmatic/realistic' type of 'ordinary-Joe' which populates about I would say/estimate 90% of the human's population in this world/planet ?.. Those people are not listening, there isn't much they will hear, until the information shows up on the mainstream media. Those people are stuck in the programming, but a new program will be inserted into mainstream media after the event, that everyone will be able to download. Start with things they believe in, like the financial system and how corrupt it is. You could also mention the banker suicides. Other than that, not much. The best you can do is let them know you're "that guy". Even if they think you're crazy, when things do happen they will surely remember you and come ask you for help. I have a question regarding the pronunciation of "eeeaaa". You say the e is pronunced as e in the word: America. What about the a? Is the a also pronunced as a in America? Thanks. O.k. In the initial part is the iiiiii (ee-ee) one long sustained sound with breaks for breath..eeeeeeee or short bursts of repeated sound eee-eee-eee. Sorry. I later realize my question may not be specific, for there are two letters of a in America. Is the a also pronunced as the last syllable of America(i.e., "ca"), instead of the first syllable(i.e., "Am")? Thanks for the explanation! Only if your name is Rocky. What exactly happens to archons when the portal is activated? hi everyone johnny here. today i watch for hour,s as the plane,s chem trailed the little town in Ireland were i live called Fermoy.it started at 7 in the morning and has gone on for 5 hours now. i also put up a video on my face book page showing them spraying. just type in john hayes on face book if you want to see the short video. these sick people must be stopped. what can i do to stop this i,m so mad right now everyone i tell just laugh and won,t even read the proof i put up.cobra what can i do to stop this madness. Cobra, I would like to know more about the G2 cloud... do you have a link to a reliable source? Is there an audio of the goddess mantra ? 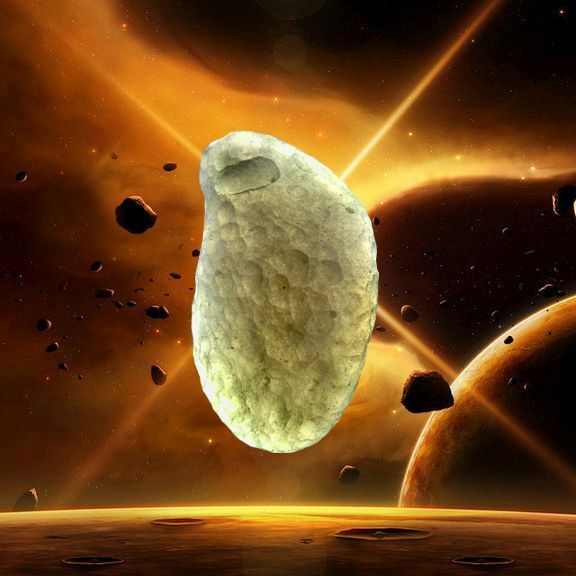 je suis heureux, je viens de demander de voir notre famille galactique dans le ciel. et il est apparut des lumieres orange en forme de V passant rapidement très proche de la maison et disparut en quelque secondes. Initially I was having an unusual dream that may or may not be related to the vision: I feel like it was a false flag attack - I was in a large building where the bottom 2 floors were a supermarket and the top floors were concrete parking garage levels. The lights went out, an explosion occurred and soon massive flooding followed. As I went up floor by floor in the parking garage the water drained from one layer down to the next one below it to where I was not swept away - I exited the building at the rooftop and there were several survivors there along with a white helicopter waiting to pick us up. The next thing I know I was exiting a movie theater with my mother and father (they are in their 70's) back in Phoenix AZ where I was raised. I looked up at the sky and there are what appears 4 Moons lined up perfectly and equally spaced! Then there was a 5th actual moon to the above-left of the 4. There was another couple (man and woman) also in front of us facing outward staring at it nearby. We stared at it for a few minutes, discussing it to be the alignment of the 4 planets that we knew was coming based on the recent mainstream news. I was in awe even though it was expected as it was an amazing sight to behold. As I then focused on the 3rd moon, I noticed a lot of detail - it was blueish in color and I perceived it as being Jupiter. It's hard to describe what happened next but it went from a small moon size planetary object to a HUGE one - it literally became the largest thing you ever saw and moved to the right side of the horizon - absolutely gigantic and as it was so large, I could see the details on it crystal clear. It reminded me of an ancient coin and had 3 huge symbols of animals, the lower 2 being cats - the entire thing was a combination of Gold and a dark Blue/Purple. The style of the cats was ancient. I was AMAZED by this and tears were streaming down my face. My mother wasn't that impressed (skeptical) and my father was in between and even though I was shouting "Look at this" they decided to get in their cars (separate cars) and leave. As I followed to go home with my dad in his car, I walked by the couple that were watching all this with us. The man from the couple walked away, I never saw his face. That's when I looked at the woman and she, like me, had tears streaming down her face in joy and awe - she was the classic Pleadian goddess (about 25-30 years old, blonde, slim, beautiful facial structure) - we looked at each other in understanding as if we were the 2 people watching this unfold that 'knew' the greater significance of this moment. The overwhelming emotional feeling overriding all of this was too powerful to describe. I got in my father's car to drive home and as he was driving, I was looking back at the 4-5 moon/planet alignment in the sky through the car's sunroof. That's when I noticed a cloud all by itself up and to the right of the formation - and cloaked right in the middle of the cloud was a UFO observing it as well. It was a classic saucer shape with a round bulb protruding in the classic way from both the top AND bottom. I pointed it out to my father who said something strange that it could be some type of secret gov't project craft so I looked at it again and believed it to be a real one, not a gov’t one. I then woke up in an incredibly powerfully emotional state with tears streaming down my face in continuation from this dream/vision. I reached out for the water bottle I sleep next to every single night and it was missing! I then found that I had apparently knocked it over in my sleep between the bed/desk next to it. In 3 years of sleeping in the same spot with the water bottle in the same spot, its the 1st time thats ever happened. Cobra, out of curiosity, is there any significance that you know of relating to St Davids Island/Bermuda in general? Is anyone else experiencing as of really recently frequent sudden nosebleeds? Or any other body anomalies that are without cause? This is due to increased heat content of the body and rush of blood towards head.Any change in diet recently? Alternative medicine offers best solutions for this common summer problem. You're Just Another Part Of Me! Victory of the Light to the 10th Power!!! THE EVENT will be when I cease sending them emails about THE EVENT. LOL!! Thanks Smaly7 for the great visuals and time you put into this video....It really helps me prepare for the meditation. This 5min video is very time appropriate and very mind expanding, please watch it. We have been told that our solar system and the galaxy are rotational heliocentric systems. In reality they are 3-dimensional heliacal vortexes. This CG video explains it beautifully. "The heliacal model - our Galaxy is a vortex"
The video visually explains the delicate yet super powerful alignment of the celestial bodies. 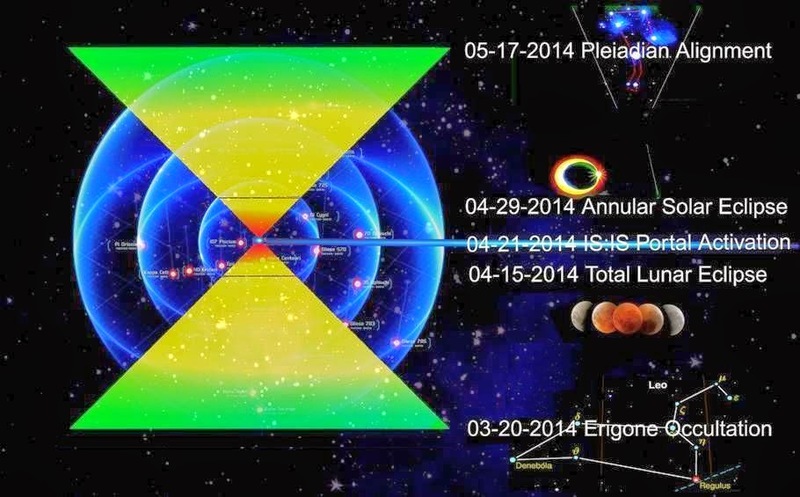 Our solar system has fully immersed in the photon belt already and is now closing in on the grand 225 million year galactic cycle, the zero point alignment with the Galactic Central Sun.This is what the only accurate calendar that survived, the Mayan Calendar also had calculated. Our Sun is part of Sirius star system making this grand cross alignment of sudden electrified impact of Uranus, release of the hidden secrets and rebirth Pluto, expansion opportunity Jupiter, and headstrong determined Mars in Cardinal signs even more powerful because Sirius is also at 14deg, in Cancer which symbolizes home, at the same degree as the other named planets, making a tight aspect to all of them. Astrology is the only known science to man that uses both sides of the brain, the logical, mathematical, and the intuitive, creative side. Something to think about…But it got a bad name because of the Vatican, who raped this sacred knowledge to serve their black magic luciferian cult for thought control of false concepts, time and money. They high-jacked this knowledge and perverted it into some kind of woo-woo crap, a fatalistic, fear based nihilist belief system that yet again only served to take the power away from the individual. Brilliant astronomers who wanted to elevate their mind through astronomy, were stigmatized with the witchcraft label and had to go underground to preserve this knowledge. So it's great to see the growing interest in astrology and astronomy because it is a clear indication of the awakening mind. It is good to be aware of "these things" because in reality, alignments of celestial objects provide a "window of opportunity" for certain events to happen. Ps. The video created for Cobra's event is gorgeous! Thanks Freia, You're always researching good stuff for us....I watched the video and it's fascinating and I tried to absorb as much as I could...I wish I had an astrological and astronomy course to make it easier to understand for me. And how all this movement originates?..And take into account, as this development of the helical model follows first the Law of Three (The Pythagorean Triangle) and this generates the Law of Seven (Or the Law of the Octave), it can increase/decrease its energy at the "gaps" or "intervals" to develop higher or lower pitch octaves (evolving or involving). 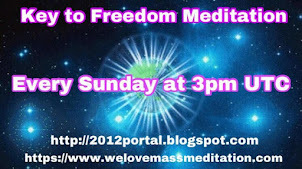 This "Window of Opportunity" is for us to help in this EVENT as to get a higher vibrational rate. 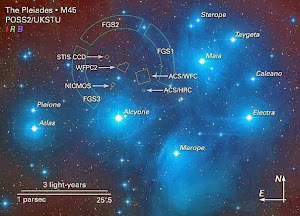 My Goodness Alcyone! All your Artworks are Masterpieces. Our Love is so intense at times that it is nearly impossible to attenuate it. It seeps out of us like static electricity - the path of least Resistance. The Resistance <==> Movement exists to LIMIT Our Power. Not to resist the puny power of the dark ones. Our Love is a Consuming Fire. WE Limit Ourselves for Love's sake. Perceive it. Know it. My Heart and Mind know you are absolutely right. Been feeling the same for quite a while now. It was always meant to be like this. The clockwork is winding down, the mouse-trap game is coming to an end. and trust me, This Time we are taking out ALL of the TRASH. Believe in YOUSELF and what YOU know is right. Only YOU can do what must be done! Love your posts 3DHD. You too Raj. ;) Love and light right back to the RM and everyone involved for all things you guys do and do NOT do on our behalf. Today I had a dream that I was floating in the sky, like very high above, at the edge of the atmosphere. Over there, I felt a great feeling of rush, It's hard to explain, but it was like I could almost feel things becoming "just right", like planets aligning, and this MASSIVE energy building up from behind me, It felt like a laser beam getting ready to shoot. I turned around and saw a HUGE bright light, It was at least 3 times bigger than the sun in the sky of a regular day. And with this light, starships all around me started to pop up (decloak?) and descend into the planet. It was gorgeous, I felt very light and comfortable all of a sudden, like when you're burning hot and a cold breeze hits your face. The feeling started to be a bit too much, and I started to feel weird about it. I wasn't scared, but It was very overwhelming. That was then I heard a voice talking to me, It was weird because this voice was genderless, it sounded masculine and feminine at the same time, like a perfect 50/50 between the two. It said "what are you doing here?" In a tone that you would use to a little child doing something it shouldn't. Then I woke up. I literally jumped out of bed and cried, it was a very intense dream. I dream very rarely, like once every 3 months, so to have a dream like this was very crazy, specially the voice that called me. It was very uplifting, made me feel that I should be doing more towards the event effort! Wow......Excellent interview............Just wish she would slow done her speech.........But otherwise it was absolutely GREAT! Cobra is something going on with Galactic Connection web site. It has been taken down???? Just checked, it's working as of the moment I write this. 16/04/2014 9.45 pm BST warwickshire, Uk. We had a Blood moon, also the moon had a halo of red at the top and turquoise at the bottom, it was also moving very fast left to right. This was seen by me and others, So what is really happening? Thank you Cobra. Victory to the Light! Our enemies play to architect the lives of others, they shake their fingers and throw influences, they are good engineers but there was always an understanding on our part that was plotting with art and precision as is behind their visions of so excellent a way that seemed to support their attitudes to given phase when being played the last pieces of this chess and being unraveled the big plan. @ Carol Cook <3 <3 <3 Girl! I'm watching the video for the 5th time now this evening as tears stream down my face. The man knew what he was talking about. I always thought God/Source just flowed right through him, I see it especially in this song. We are to celebrate. Prins, who is a former top Goldman Sachs banker, exclaims, "It is very easy to see how the system could unravel because it isn't stable. We are definitely in big trouble. There is no way we are not headed for a crisis. . . . It should have happened already, but the level of support is epic and reckless from the political and financial elite." 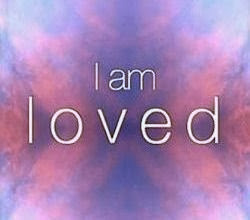 Yes it has; on all levels. The dark evil "being" controlling the character called "Pope Francis" has secured itself a personal date with The Source. As have quite a few other entities out there. They will live in Very Interesting Times. On a related note: Thank you for the immaculate Timing of your posts, 3DHD. I highly appreciate every single one. Somebody's gonna get their wigs split! All that was Lost is Found. Hallelujah! You posted at the EXACT minute that I finished a 2:52 hour drive around the countryside. It's one of my rituals that I perform every saturday, and today's route was the best so far (I'm still learning new ways to move around, it's so awesome). Today I managed to get on three ferries to cross rivers, crossed over a dozen bridges and completed a 136 km cycle around my beloved hometown. Well of course all y'all are welcome for some S'Mores. Any flavor of chocolate that floats your boat. And a word from the King. The arc of the covenant is now present and here to serve only the light. 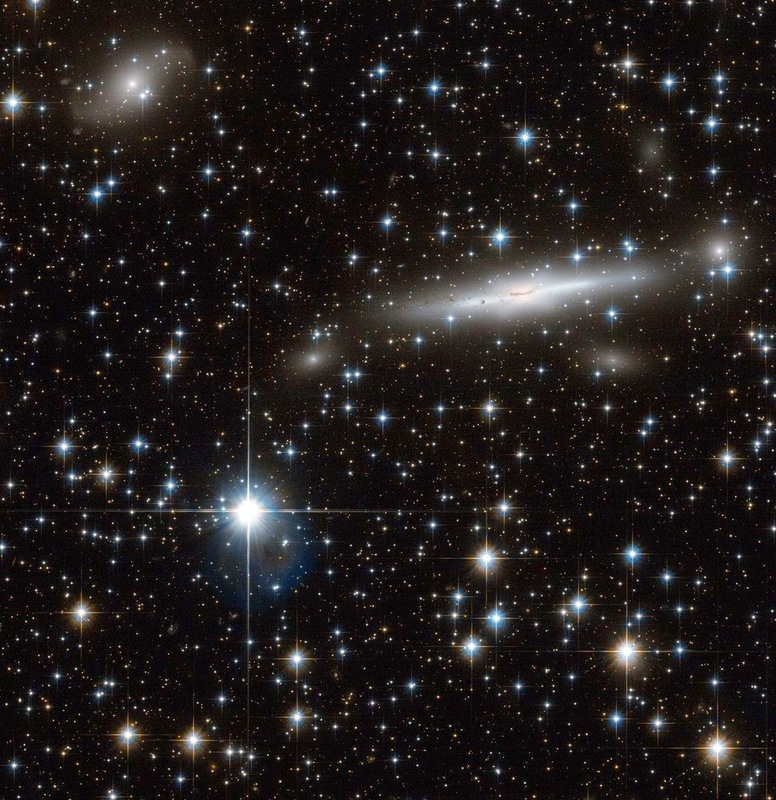 May you use the arc with discretion for the Great Attractor. Thank you. Galactic Codex is being enforced now. THE REASON, why I wanted to share that is because it is SO RANDOM that "Keshe Plasma Reactor" ~ Here Is the Future link was in the same YouTube search column. I just read Keshe's most touching open letter dated today 4/18/14, look it up, it's a beautiful read for a global disarmament and world Peace. You guys are really awesome! I had like a very strange dream about two days ago and this is the only place I think I can get the right interpretation. So immediately after school I took my usual nap about 1 hour or so and I couldn't sleep. I was somehow trying astral projection and after some time I found myself dreaming about me staying in front of the Pc as I'm standing now. I was watching some kind of video on youtube and a very strong head ache suddenly started. It was somekind of buzzing noise and very strange.I had never felt any head ache like that and that I just "went up" and a strange voice started talking, a voice like one of those I had heard on a Pleiedian video. It was saying something and I was able to hear only parts of it. I remember hearing something relating to anger and at that moment I felt like going angry and when I did that the voice started to get away. I know that this looks stupid , but I want to know something about this. Here is something to watch while we are awaiting the portal activation. Earth left it's mast or pole and is now free to take flight. Also the Allies destroyed Jupiter(?). Crazy stuff to most of us programmed Earthlings, but we need to expand and stand in truth, whatever that may be. The beginning of the video sets the stage of who the power players are back to Egyptian and Biblical times info and symbols and how those symbols relate to NASA and other negative corporations. We should all know about this stuff if it is true, I have no idea. But I trust that Cobra knows what he is doing and will please delete this note of the video has a high percentage of disinfo in it. We need to learn the truth and teach each other. The true light is not based on duality. It exists in oneness-consciousness. Souls who choosed to stay in the true light are not guilty of the situation that there are beings who choose darkness. The same with the angles of the true light and so on.To identify this FACTS does not mean somebodys consciousness is based on duality. Every soul has free will. So no matter which way is chosen, everybody has the right to say "no". Our free will was violated far beyond and we do not have to feel guilty if we say "no" to this and we do not have to think we are living in duality because of this. I am looking forward to a world in which frontdoorkeys and passwords are needless. Thanks to everybody who takes part at the IS:IS-portal-activation. EARTH IS PLACED BETWEEN TWO ELECTROMAGNETIC FORCES! Any feedback on todays meditation? Who is Cobra? Is there a link to this person? Saturday (4/19) evening we experienced a very strong sonic boom in Central Florida...I thought as before (a couple of months ago) that the Galactic Federation of Light have once again moved their ships closer to Earth....Looking forward to meeting our Star friends and they are welcome!